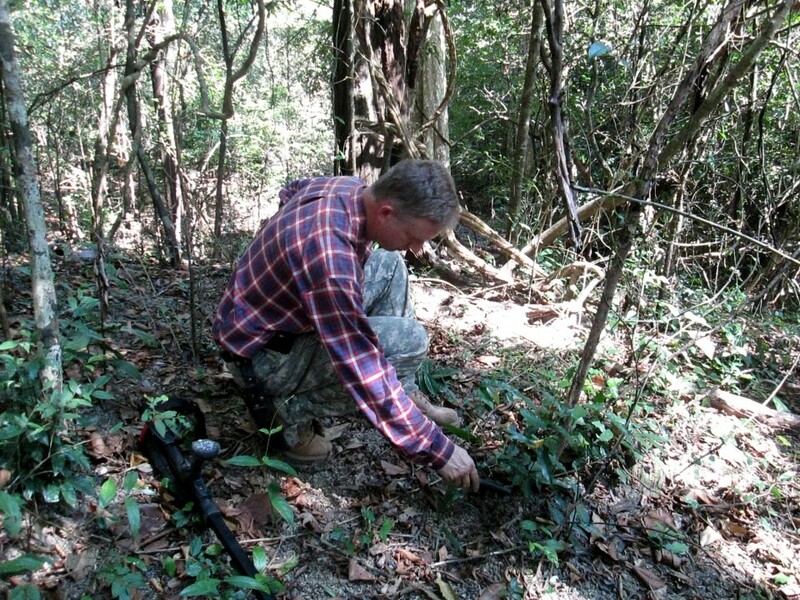 Paul Clever searches the CAP-72 crash site in Laos, December 2012. The recovered artifacts are featured in this exhibit. 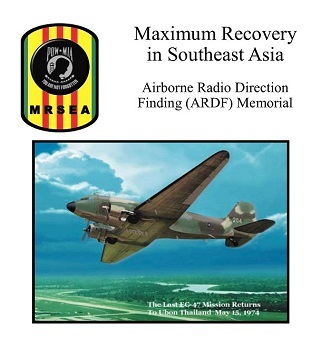 Background: The MRSEA search and recovery team, Paul and Nita Clever, brought back more than 50 aircraft wreckage and aircrew member personal equipment artifacts discovered at the CAP-72 crash site located near the Ho Chi Minh Trail in southern Laos. MRSEA board member and ARDF operator, Danny Russell, began the search for a suitable, secure public place to display these artifacts. 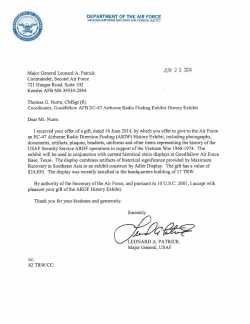 On March 28, 2013, Danny and another ARDF operator, Tom Nurre, met with Goodfellow AFB officials and offered the recovered artifacts as part of a proposed ARDF History Exhibit for the base. They secured approval to proceed with the exhibit design and construction plan proposed by Adler Display, a design company located in Baltimore, Maryland. The 17th Training Wing Historian, Dr. John V. Garrett, a stalwart proponent of the exhibit proposal, guided the coordination of the project through the Air Force approval and acceptance process. Three of the most important letters are included below. 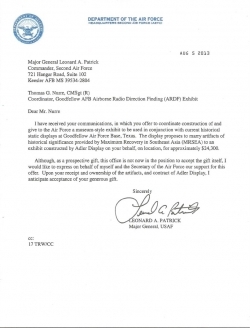 It should be noted that Major General Patrick signed the initial (prospective) acceptance letter in August of 2013. 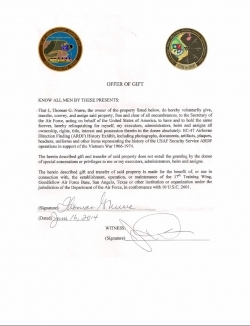 Just ten months later, he signed the final acceptance letter, dated June 23, 2014. This attests to the robust pace at which this project was carried out. The exhibit concept, costs, and construction details are included in the Design, Installation, and Ribbon Cutting section. Click on individual letters below for full size view.